The Holidays are a great time to plan a special day out, make family memories, or take your kids to do something new as a Christmas gift. 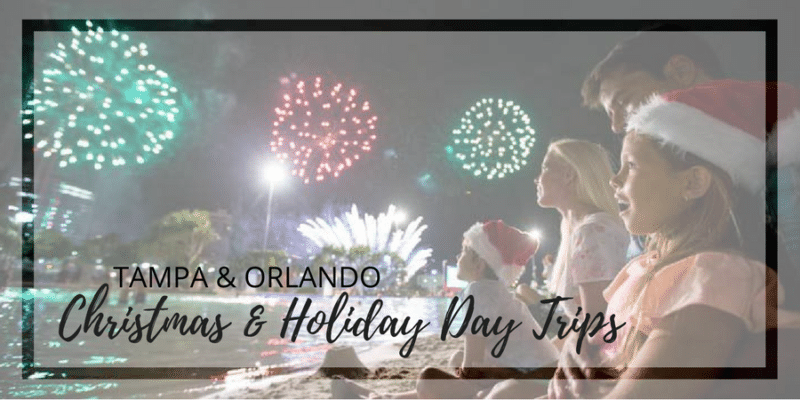 Although there is PLENTY to do here in Lakeland & Polk County during the holidays, we’ve compiled a list of holiday events and Christmas activities in Central Florida, perfect for day trips or a night out in Plant City, Tampa, or Orlando. We’ve also included three special attractions right here in Polk County – Bok Tower, Safari Wilderness Ranch and LEGOLAND Florida. Please use our links to do your own research before making plans, some of the special events are only available on select nights, even at places that are open daily. A few of the links in this post are affiliate links, which means we will receive a small commission when you make a purchase by clicking through our links. 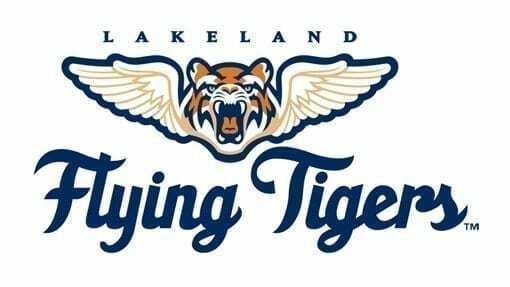 Thank you for supporting Lakeland Mom! We only recommend products that we use and love ourselves and deals we know will save you money. During the month of December, Safari Wilderness in Lakeland offers a holiday-themed safari at 1/2 the price of a regular visit! Nestled on over 260 acres of land in North Lakeland, Safari Wilderness one of the most unique and memorable experiences in Florida where you’ll get up close and personal with zebras, llamas, Watsui cattle, water buffalo, lemurs, and more. Take a 45 minute safari with a knowledgeable guide, visit the petting zoo barn, aviary, and small mammal house. Daily between December 17 – 23. Safaris depart every hour, on the hour between 1pm – 5pm daily. All safaris come with a poinsettia to take home. Christmas at Bok Tower Gardens is an annual celebration for all ages and one of the best times of year to visit. The ever-popular Holiday Home Tour at Pinewood Estate is the highlight of Bok Tower Gardens’ season of holiday-themed events, but the Christmas fun doesn’t stop there. Visitors will enjoy poinsettia, bromeliad and amaryllis displays, live music on the 205-foot Singing Tower carillon, Sunset & Symphony Holiday Concert with the Orlando Philharmonic Orchestra (Dec. 1), winter walking tours, Holidays at Hammock Hollow: Meet Mrs. Claus, and a variety of educational programs. Hear Christmas music from around the world every Thursday through Sunday at 1 p.m. and 3 p.m. on the 60-bell Singing Tower carillon. Included with general admission. LEGOLAND’s annual holiday celebration returns to deck the halls on December 1, 2, 8, 9, 15, 16, 22-31. Enjoy a 30-foot-tall Christmas tree made of thousands of LEGO® and DUPLO® bricks, festive decorations, NEW show – Holly Jolly Jubilee live, a life-size LEGO Santa, reindeer and sleigh, holiday-themed scavenger hunts with prizes, and opportunities to build with LEGO alongside our Master Model Builders. Meet LEGO Santa and LEGO Toy Soldier during daily park appearances and end the evening with a not-so-silent-night fireworks spectacular set to classic Christmas melodies. From December 26-31, enjoy the holiday décor and more! Kids’ New Year’s Party features an amazing nightly fireworks show, dance parties, special building activities and more. On December 31, enjoy a brick drop at a kid-friendly hour! At Wonderland of Lights, the Christmas season springs to life with dazzling displays of electric cheer. These illuminated spectacles are easily visible during drive-through car tours, but at Santa’s Village, even more holiday wonder awaits. Meet Santa, ride ponies & camels, ride the North Pole Express Train, games, holiday food & treats, and more. Opens Thanksgiving night through December 29. November 22 – December 29. Select nights from 6 – 9pm or 6 – 10pm. See website for dates/times. Prices start at $25/vehicle with up to 8 passengers. Train ride, animal rides, & some activities extra. Check for Groupon deals. Christmas Lane is an extraordinary light display that originated in the 1980s for the Dover, Florida community. This light display has grown exponentially over the last 35 years. In 2015, Christmas Lane relocated to the Florida Strawberry Festival grounds in Plant City, FL. Various Christmas themed displays, photos with Santa, live entertainment, food, and rides (additional cost for food & rides). Parking is free and can be accessed from Lemon and Oak streets. Live nativity every Thursday, Friday & Saturday night at 7:00 & 8:00pm. The Christmas Trail is an outdoor Christmas attraction located in Plant City, Florida. Featuring over a 1/4 mile walking trail filled with Christmas themed scenes and several thousand lights throughout. Photo ops, a 25ft tall Christmas tree, and even snow highlight a few of the magical aspects of The Christmas Trail. You might even catch a glimpse of Santa walking through the trail! Along with the trail guests can purchase an assortment of concessions including marshmallows for roasting and hot chocolate. Santa is also at the Trail nightly for pictures and Jack Frost creates magical snowfalls through the night. We also have vendors and free face painting. Guests can walk the trail at their leisure but can expect it to last around 15 minutes. The Christmas Trail is a Free Event but donations are appreciated. There are a limited number tickets available each night and they advise arriving early. Concessions and other items will be for sale along with vendors selling merchandise. Unwrap a beautiful family tradition at Christmas Town, where Busch Gardens Tampa transforms into a holiday wonderland of Christmastime entertainment and attractions, holiday shopping, festive treats and more than a million twinkling lights. Christmas Town is included with any Busch Gardens pass membership, Fun Card or daily admission. Click here to see Annual Pass prices. Enjoy a lively array of dancing lights, dazzling décor, and snow too! Symphony in Lights is an amazing holiday light show, choreographed to music featuring the Trans-Siberian Orchestra! A holiday tradition you won’t want to miss. Ice Skating and Santa Photos also available for an additional cost. Shows and snow nightly on the hour 6-9pm through December 31st. It’s the most wonderful time of the year… as ZooTampa at Lowry Park transforms into a world of holiday cheer for Christmas in the Wild! The event celebrates its fourth year as one of Tampa Bay’s most beloved holiday traditions. From the stunning sights of thousands of twinkling lights, delectable seasonal holiday treats and refreshments, to the wonder and enchantment of wildlife at night – Christmas in the Wild will offer guests of all ages a whimsical holiday experience. Included in daily admission or annual membership. Select Nights starting November 23. Starting at 4 p.m. Included in daily admission or annual membership. After 4pm Admission available for Christmas in the Wild nights. Have a flurry of fun in our outdoor kids’ play area with real snow! Included in aquarium admission. December 26 – 31, daily from noon to 5pm. ICE! at Gaylord Palms featuring A Christmas Story – Walk-through holiday attraction, kept at a chilly 9 degrees. Journey through more than TWO MILLION pounds of hand-carved ice sculptures and two-story-tall ice slides. Delight in a celebration of cultures featuring holiday scenes, and travel to the North Pole to see Santa and his elves. Advance ticket purchase highly recommended. Now Snowing is a month-long Winter Wonderland Spectacular featuring strolling Charles Dickens Carolers, community performers, photos with Santa, horse drawn carriage rides, the Celebration Express train, ice skating, and nightly snowfall every hour. Nightly from November 24 – December 31. Nightly Snow Falls at 6, 7, 8 and 9 PM. Ice Rink is open daily from 4:00-10:00 PM through January 1st. 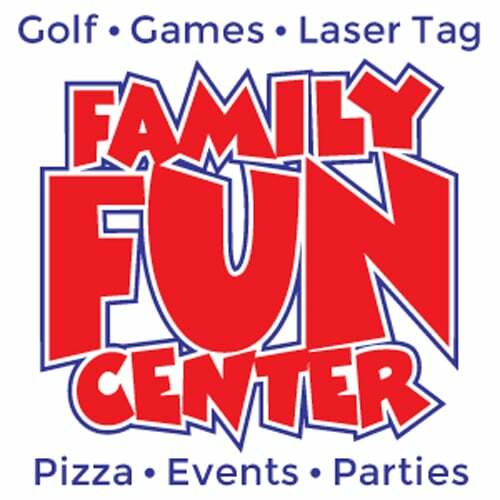 Click here to see a full list of activities. Prices vary from $9.50 – $20.50 per ticket. Light Up UCF has become a holiday tradition, offering an 8,000 square foot outdoor ice skating rink, rides, and holiday attractions including a Ferris Wheel, Blizzard ride, the Arctic Glide Ice Slide and Santa’s Workshop, there are several free opportunities for families including the Holiday Film Festival shown on a giant two-story screen and the Holiday Light Show with thousands of lights choreographed to seasonal musical selections and falling snow! November 16 through January 1. 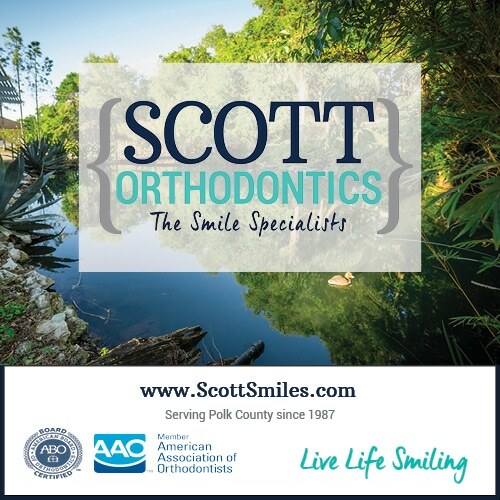 Hours vary daily, visit website for times and a list of special events. The Holiday Film Festival, Parking, Light Show, and Light Up Lane are all FREE. Prices for ice skating, photos with Santa, and rides vary, visit website for prices. Experience Christmas in The Wizarding World of Harry Potter™ as Hogsmeade™ and Diagon Alley™ are transformed with wondrous spirit. 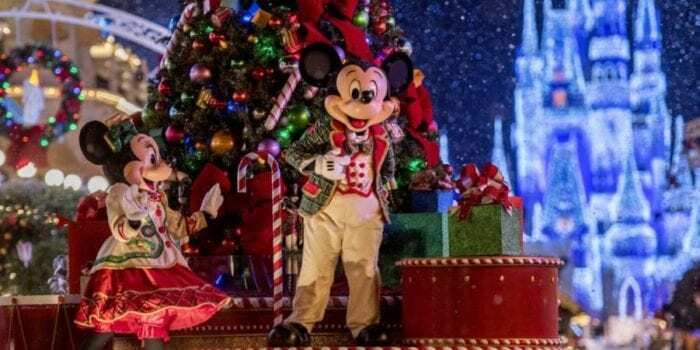 Treat yourself to Universal’s Holiday Parade featuring Macy’s. And watch the live retelling of Dr. Seuss’s classic holiday tale starring The Grinch™ in the Grinchmas™ Who-liday Spectacular. Holiday events included with park admission. The Grinch™ & Friends Character Breakfast is also available on select dates at an additional cost. Park ticket required. It’s Christmas every day at SeaWorld’s Christmas Celebration. Enjoy festive shopping, delicious food, and stunning live shows. SeaWorld Orlando transforms into a holiday wonderland with over 3 million twinkling lights. Meet Rudolph the Red-Nosed Reindeer and friends and share Rudolph’s family fun and holiday traditions while making spirits bright. SeaWorld’s Christmas Celebration is where holiday memories are made. The season meets the sea daily through December 31, 2018 and is included with park admission. Included with park admission. Click here to see Annual Passes and single day admission prices. Separate ticket required. Prices range from $94/$99 (Child/Adult) to $120/$125 based on date. 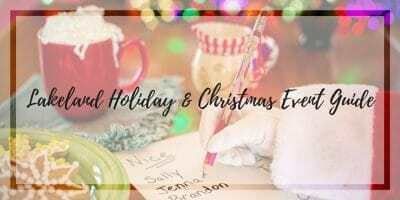 Read our full review of this holiday event! Catch the spirit of the season with an incredible mix of entertainment, shops, cuisine and family fun. You’ll find nightly activities such as a tree lighting ceremony, carolers and a holiday dance party. Santa will be available for photos. Don’t miss the Disney Springs Christmas Tree Trail – wander through an enchanted wonderland and marvel at a stunning collection of 25 custom-decorated trees. Each one has been designed to capture a popular Disney theme. Events include Sunset Seasons Greetings and Jingle Bell, Jingle BAM! at Hollywood Studios, the Candlelight Processional and Holidays Around the World at Epcot, all included with park admission.